1992— Founded a company –WAN FA Appliance Factory, started to produce pressure washers and Pesticide Spray Pumps for Chinese domestic market. 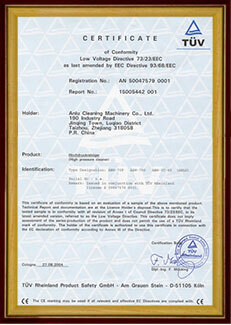 1997— ZHEJIANG ANLU CLEANINGM MACHINERY CO.,LTD was established，and pioneered to do export business. 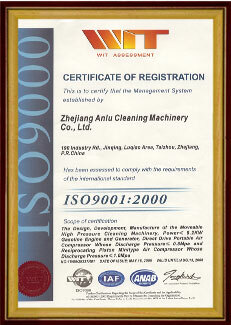 1999— Got the patent technology of domestic wobble plate pump, won the national new achievement award. 2000— Won the tiltle "Taizhou famous brand" and "Taizhou patent demonstration enterprise". 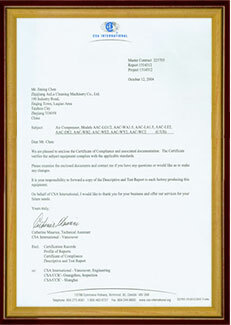 2001— Got the Approval of GS &CE certification , UL and ETL certification for US. 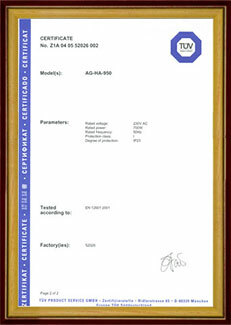 2003— Won the certification of China National Compulsory Product Certification and high-tech enterprise. 2004— Won the title of “Zhejiang province patent demonstration enterprise”. 2005— Won the title of "Zhejiang famous brand" product title. 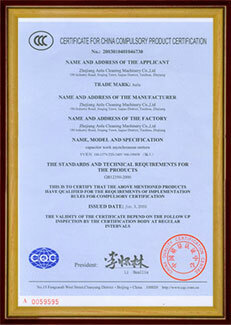 2007— Won the title of "China quality credit AAA enterprise" and "provincial high- tech R&D center". 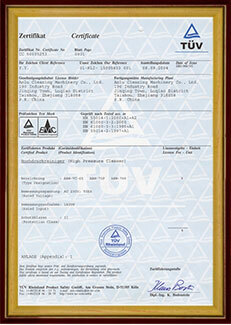 2008— ANLU trademark was named "well known trademark", which was obtained through TUV Rheinland security certification. 2009— Won the title of "China recommended export brand", moved into NEW 100,000 square meter factory, and invested a new automated stereoscopic warehouse. 2010— Got the national key high-tech enterprises, invested 30 million Rmb on building automatic die casting production line. 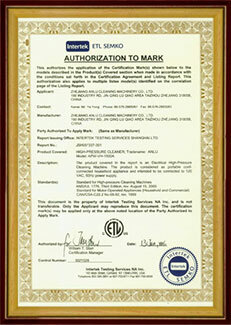 2012— Got the Measurement management system certification. 2013— Accessed to OHSAS18001:2007 occupational health management system certification and ISO14001:2004 environmental management system certification. 2014— To be China Agricultural Machinery Industry Association executive member unit. 2015— Obtained 204 national and international patent certificates. 2018— Responsible for drafting "Made in Zhejiang"《 Household cleaning Machine 》group standards ，was officially issued on October 31.